Pearl A. Stiner, 83, of Morrisdale died Monday, Dec. 4, 2017 at home. Mrs. Stiner was born Jan. 3, 1934 in Bigler, the daughter of Charles K. and Rosie B. (Maines) Maines. She was a homemaker and had worked for Matags in Philipsburg for 17 years as a seamstress. Mrs. Stiner was a member of the Church of Christ, LeContes Mills, and most recently Clearfield. 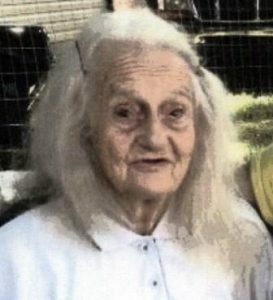 She is survived by four children, Charlotte Green, Sonny Stiner and his companion, Armentae, Jeff Stiner and Sonnaay Stiner and his companion, Cathy, all of Morrisdale; two step-sons, Duane Stiner and his wife, Patty of Houtzdale and Calvin Stiner of New York; nine grandchildren; 18 great-grandchildren; a great-great-granddaughter; and a number of nieces and nephews. She was preceded in death by her parents; her husband, Willard J. Stiner, who died Oct. 21, 1998; two grandchildren; two sisters, Garnetta Rothrock and Doris Whitesell; two brothers, Charles and Grover Maines; and a nephew. Funeral services will be held at 2 p.m. Monday at the Bennett & Houser Funeral Home Inc. of Clearfield with her nephew Minister Raymond Stiner officiating. Burial will be in Fairview Cemetery, Morrisdale. Friends will be received from 11 a.m. Monday until the time of services at the funeral home.